What’s more fun than a Napa Valley wine weekend? The Napa Valley Tequila Train on Cinco de Mayo! 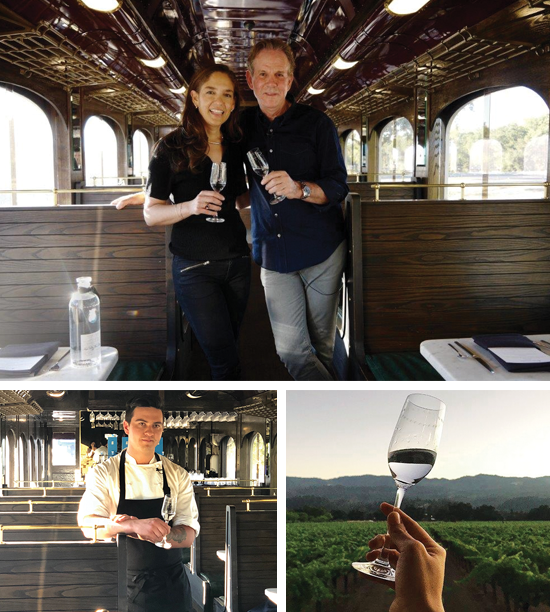 Take a ride on the Napa Valley Tequila Train with Casa Dragones. You and 35 friends will board a recently restored 1915 Pullman vintage railcar for the annual Cinco de Mayo Casa Dragones train on Sunday, May 5, 2019. Travel from Napa to St. Helena and back while enjoying a four course meal, complemented with Casa Dragones cocktails and a special Jovan pairing. The best of Napa Valley wines will be available as well. The next day, join hosts Cindy and Howard Rachofsky in the barn of their Green Acres farm for a garden lunch. That evening, you and your guests will be among the first to experience Thomas Keller’s latest venture, a “TK-Taqueria” hotspot located in Yountville, California. Dinner and more Casa Dragones for all your friends! * Alternate date available upon request and mutually agreed upon by all.